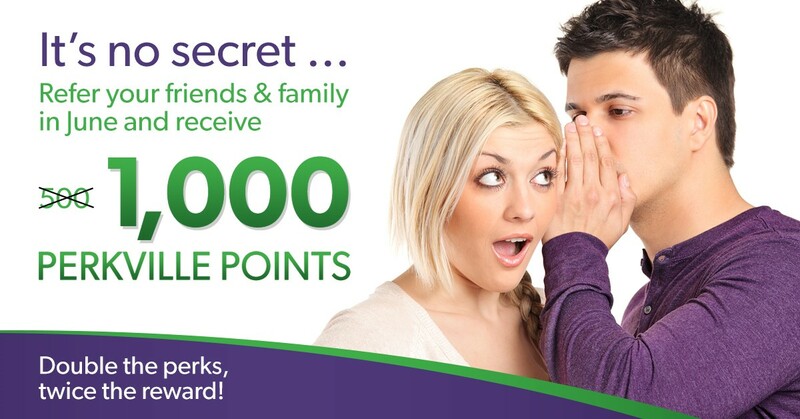 Refer a friend and get 1,000 Perkville points in June! That's right! You'll earn 1,000 Perkville points that can be redeemed for $75 off any purchase. Thinking about getting a new device? Need a new rugged case before hitting the great outdoors this summer? Simply refer a friend, receive 1,000 Perkville points and then redeem them for $75 off any purchase! Perkville rewards loyal Nex-Tech Wireless customers for the things you're already doing! Activate a new line. Rewarded. Upgrade existing service. Rewarded. Refer a friend. Rewarded. Share on Facebook & Twitter. Rewarded. Get signed up now and start earning BONUS points from NTW! *Perkville points are issued once referred account has been active for 60 days.